New York band MOONDRUNK may be the only "indie folk hop" group on Earth. 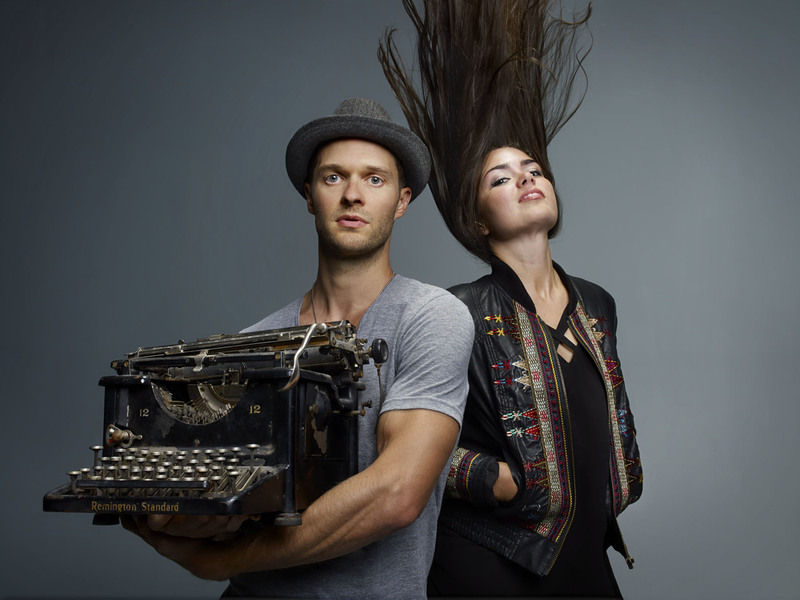 Their music combines intimate songwriting, theatrical performance, and freestyle rap. The group has collaborated with Hamilton’s Lin-Manuel Miranda and Daveed Diggs, and John Medeski (Medeski, Martin, and Wood). Moondrunk has performed at Carnegie Hall, Joe’s Pub, and other venues from NY to California. Moondrunk's debut album Lunacy was released in August and is available now! You can catch Evnine and Flanagan on Broadway in Waitress and Natasha, Pierre and The Great Comet of 1812! DEBUT ALBUM AVAILABLE ON iTUNES. Moondrunk's captivating cellist Yair Evnine can be seen on Broadway in Sara Bareille's musical Waitress at Lucille Lortel Theater. Click here to purchase tickets. Moondrunk's Ashley Pérez Flanagan is currently performing in the most Tony nominated Broadway musical this season, Natasha, Pierre and The Great Comet of 1812 at the Imperial Theatre. Click here to purchase tickets. Moondrunk's Andrew Bancroft just returned from The Eugene O'Neill Theater conference, where he played Big Trey in the new hip hop musical, iLLA! Moodrunk's latest music video was just released! Click here to watch "My Words"
Moondrunk's "Sold My Soul" dance cut music video was recently featured on Broadwayworld, Playbill and Dancespirit! A huge thank you to choreographer Lorin Latarro and dancers Garen Scribner, Ryan Steele, and Yehuda Hyman.